Great event! 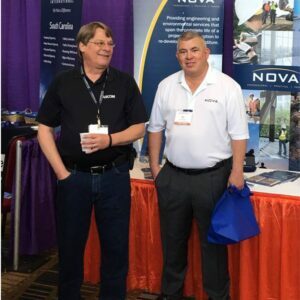 NOVA got to represent at the South Carolina Highway Engineers conference! Not only did we learn about new innovations, policies and updates, we also got to spend time networking with friends – both new and old. Here’s NOVA’s own Ed Tavera networking with a colleague from AECOM during the event. We love getting to meet fellow engineers!